What’s the Price for the 2019 Honda Odyssey? How Many MPG Does the 2019 Honda Odyssey Get? What’s New for the 2019 Honda Odyssey? The Honda Odyssey has been a great minivan option for families since it debuted in the mid-90s. The 2018 model kicked off the Odyssey’s fifth production cycle, and the 2019 version continues the cycle with virtually no changes made. The 2019 Odyssey is split into five trims: LX, EX, EX-L, Touring, and Elite. Powering the 2019 Honda Odyssey is a 3.5-liter V6 that supplies 280 horsepower and 262 lb-ft of torque. The LX, EX, and EX-L have a 9-speed automatic transmission, and the Touring and Elite go with a 10-speed automatic transmission. Both gearboxes come with paddle shifters for facilitating manual gear changes. The 2019 Odyssey is a three-row vehicle, with the base-level LX able to seat up to seven people and the other trims accommodating eight. Front seating comprises an 8-way power-adjustable driver’s seat and a 4-way power-adjustable passenger seat. If you upgrade above the LX, you will get 12-way power and 4-way power lumbar support on the driver’s seat, and both front seats will get the heating capability. The EX-L, Touring, and Elite are upgraded with two-position memory for the driver’s seat and leather trim on the front and second-row seating. The Touring is the only model with front-seat ventilating capability. 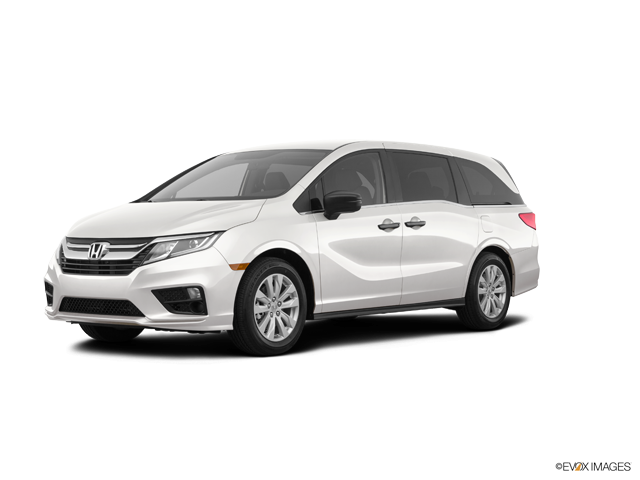 Standard comfort and convenience features on the 2019 Honda Odyssey include cruise control, Active Noise Cancellation™ technology, push-button engine start, hands-free text messaging ability, Bluetooth®1 wireless connectivity, and seven-speaker 160-watt audio with a 5-inch color LCD screen. Upgrading from the LX to the EX introduces additions and enhancements such as remote start, adaptive cruise control, air-filtering tri-zone automatic climate control, HD Radio™, the HondaLink®2 infotainment system, Android Auto™3 and Apple CarPlay™4 for smartphone-based control, a complimentary SiriusXM™ satellite radio subscription, and an 8-inch high-resolution touchscreen in place of the 5-inch. The EX-L gets a new garage-door opener and auto-dimming rearview mirror. The Touring is the lone model with a navigation system, mobile hotspot capability, a built-in vacuum cleaner named HondaVAC®, a highly advanced rear-seat camera named CabinWatch™, and a rear Blu-Ray entertainment system with a 10.2-inch high-resolution screen. And unique to the top-of-the-line Elite is wireless phone charging capability and an 11-speaker 550-watt audio system. For safety and security, the Odyssey starts off with features such as hill start assist; electronic stability control; four-wheel anti-lock disc brakes with electronic brake-force distribution and brake assist; intelligent traction management; a theft-deterrent system with engine immobilization; and dual front impact airbags, driver’s and front-passenger knee airbags, dual side impact airbags, and side curtains. Honda will add road departure mitigation, forward collision, lane departure warning, blind spot monitoring, and lane keeping assist on the EX trim or higher. Ready to see more of what the 2019 Honda Odyssey has to offer? Give us a try at our dealership in Michigan City, Indiana. We not only have a great team of Honda specialists to assist you but also sterling aggregated reviews on online platforms such as Cars.com and Google. Call us today to set up an appointment. ** 19 city/28 highway/22 combined MPG rating for LX, EX, and EX-L models with 9-speed automatic transmission. 19 city/28 highway/22 combined MPG rating for Touring and Elite models with 10-speed automatic transmission. Based on 2019 EPA mileage ratings. Use for comparison purposes only. Your mileage will vary depending on how you drive and maintain your vehicle, driving conditions and other factors. 3 Android and Android Auto are trademarks of Google Inc.
4 Apple CarPlay is a trademark of Apple Inc.